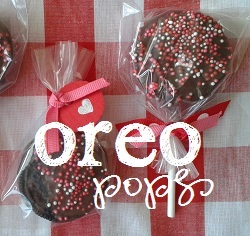 Wow, hello Pinterest. I think I love you. Can we be BFFs and braid each other’s hair? That would be fantastic. 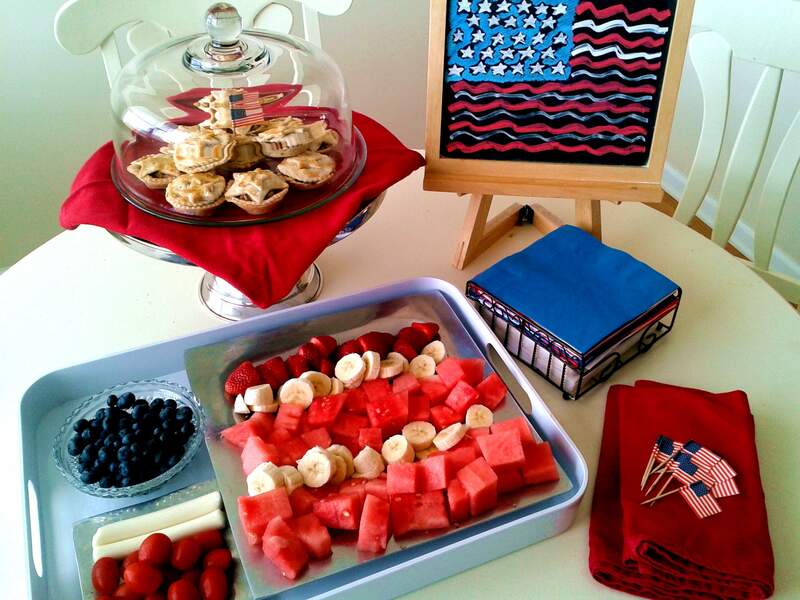 And we are going to have a cookout later, so of course we need a flag-shaped fruit & cheese tray, right? 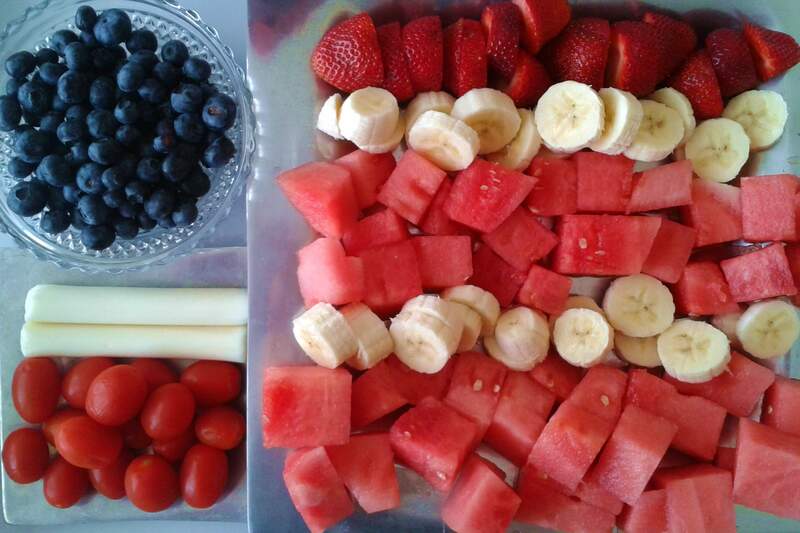 I drew inspiration from a couple of the food flags on Pinterest and used watermelon, strawberries, blueberries, mozzarella, and cherry tomatoes. My eldest child loves watermelon, but I do not love what a mess it can be to cut! 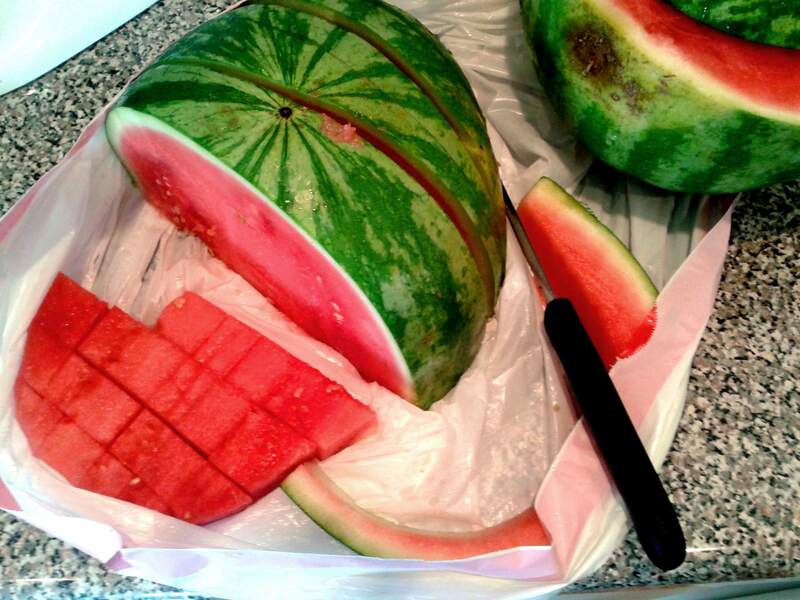 Never fear, my friend Diane has a great tip for no-mess watermelon cutting: just cut it inside a clean trash bag. The mess is contained and ready to be tossed when you’re done cutting! And duh, there’s a reason for the saying “as American as apple pie,” right?! I totally love making an apple pie from scratch for two reasons: 1) it’s almost mind-numbingly easy and 2) it looks all impressive and difficult. Bonus. 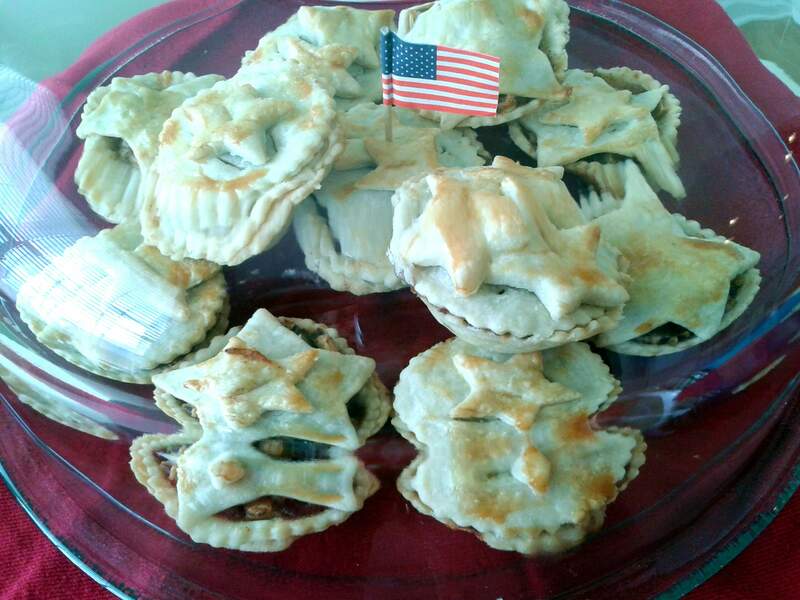 I didn’t actually see these mini pies on Pinterest, but I did see a pie with a flag-shaped top crust that inspired me to cut a few stars for the tops of these! 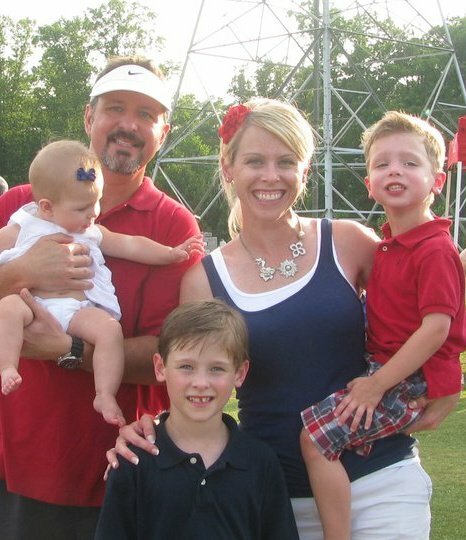 And never fear, if you saw any ideas here, over on Pinterest, or on other links that are perfect for a 4th of July celebration, just pin ’em to a board for next year! Done! So, what’re y’all doin’ for the 4th? 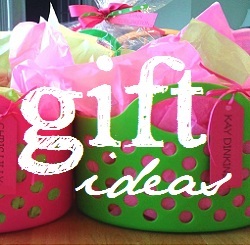 Gina… Love your 4th ideas!! Hope you all had a lot of fun celebrating! !